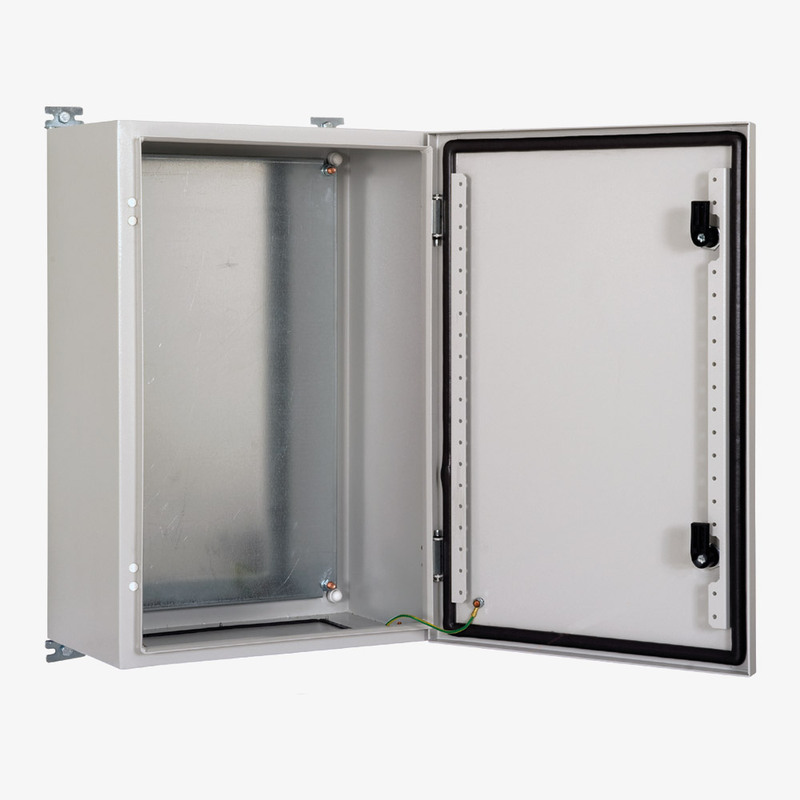 Designed for use in industrial and electrical applications, the ES466E Series are wall-mounting, steel cabinets, offering sealing up to IP66 and impact resistance to IK10. Available in eight heights, six widths, and four depths, they are supplied with a fitted steel front-door, complete with gasket. Finished in RAL 7035, epoxy polyester powder-coat paint, these cabinets are designed for use in open areas subject to the full force of the elements or harsh environments. The main cabinet is a welded, folded steel construction, using 1.2mm sheet. The enclosure edge is folded in the shape of a channel to avoid water stagnating on the seal. The rear panel is sealed other than the fixing points for the four mounting brackets included. 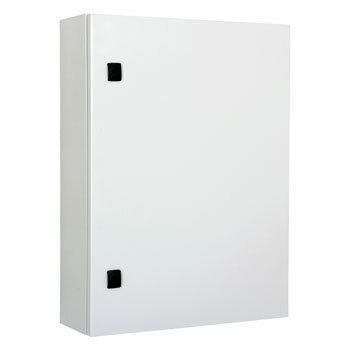 A surface-mounted, lockable, steel door is secured to the cabinet using concealed, removable hinges. Hinges can be mounted to allow left or right handed operation. A watertight seal is ensured by a one-piece, polyurethane gasket fitted to the inside of the door. On the inner face, two vertical mounting-profiles with pre-drilled holes at a pitch of 25mm, provide space for installing accessories and give extra rigidity to the door. Security is provided by one or two cylinder-locks, depending on model. 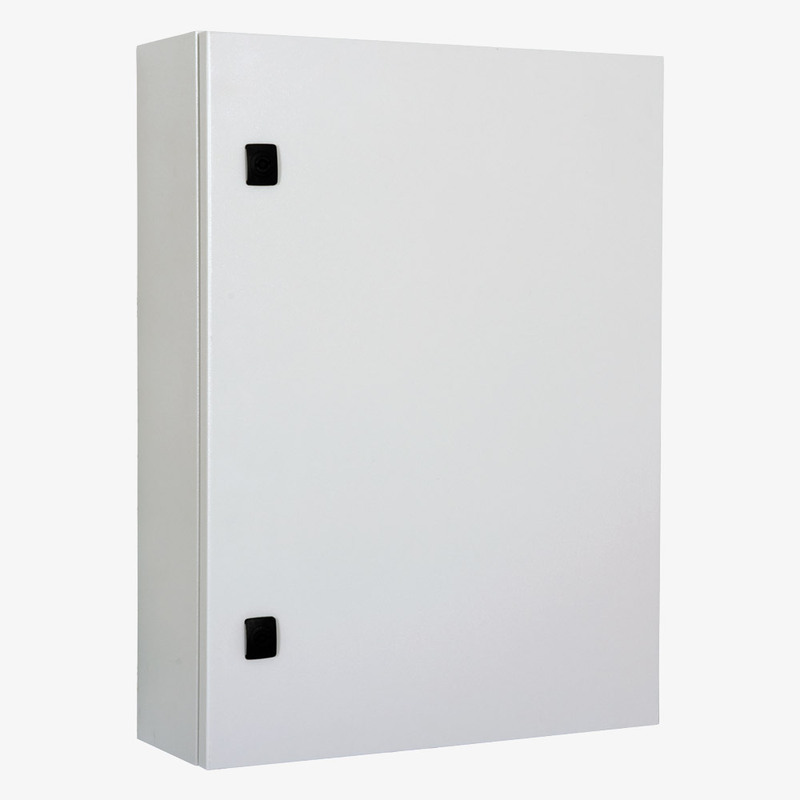 At the rear of the cabinet, on models under 500mm high, a galvanised 1.5mm steel mounting plate is fitted; on models 500mm high or above, the mounting plate is folded on each edge for extra rigidity. The mounting plate can easily pass through the door opening, allowing equipment to be attached prior to fixing inside the cabinet. 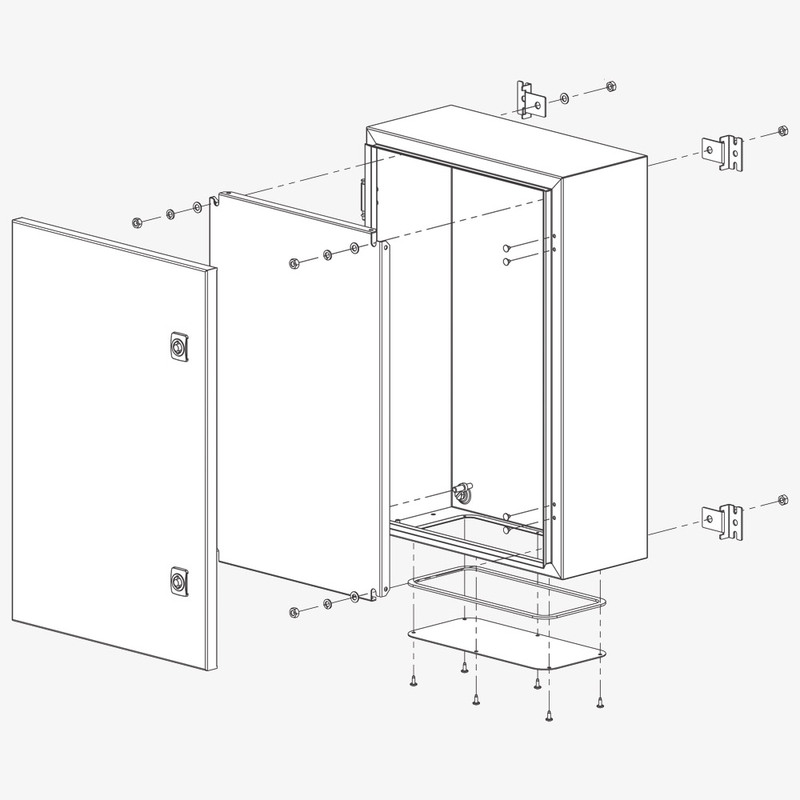 Optional, vertical mounting-profiles, DIN-rails, and 19-inch frames are available separately. Note that the mounting plate, vertical mounting-profiles and 19-inch frame all use the same mounting points. As a consequence, they cannot be used at the same time. On the base there is an aperture for cable access. 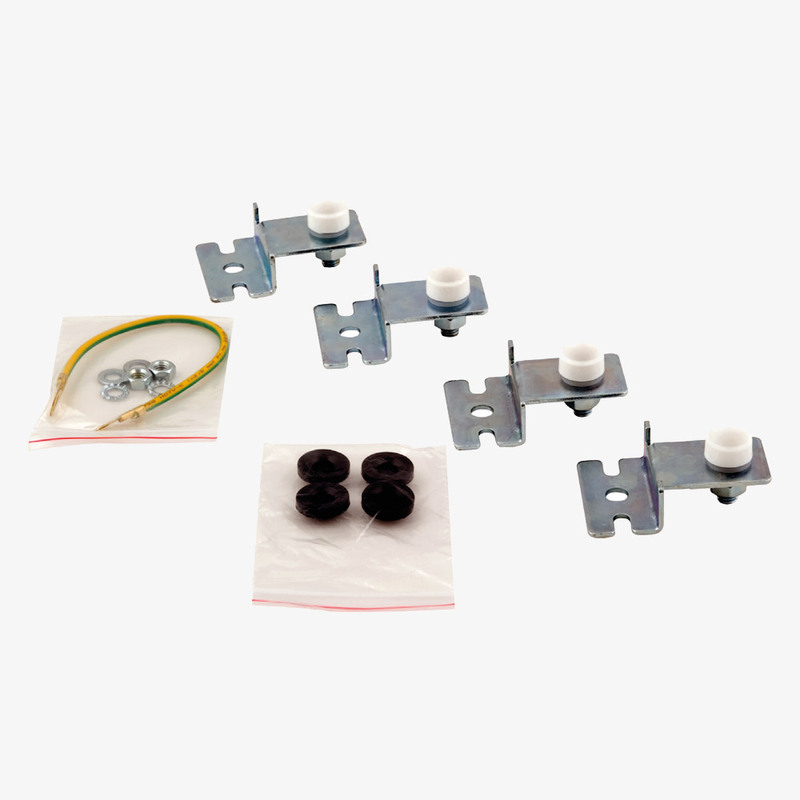 One plain cover plate is supplied complete with a polyethylene gasket to maintain IP66 sealing. Earth studs are provided at the top and bottom of the inner face of the door, and at the left and right of the base of the cabinet. An earth link cable and fixings are included to earth the door. Vertical mounting-profiles, DIN-rails, 19-inch frames, earth kits, document holders, and plinths see Canford Racks - Accessories - Hardware - For ES466E Series.